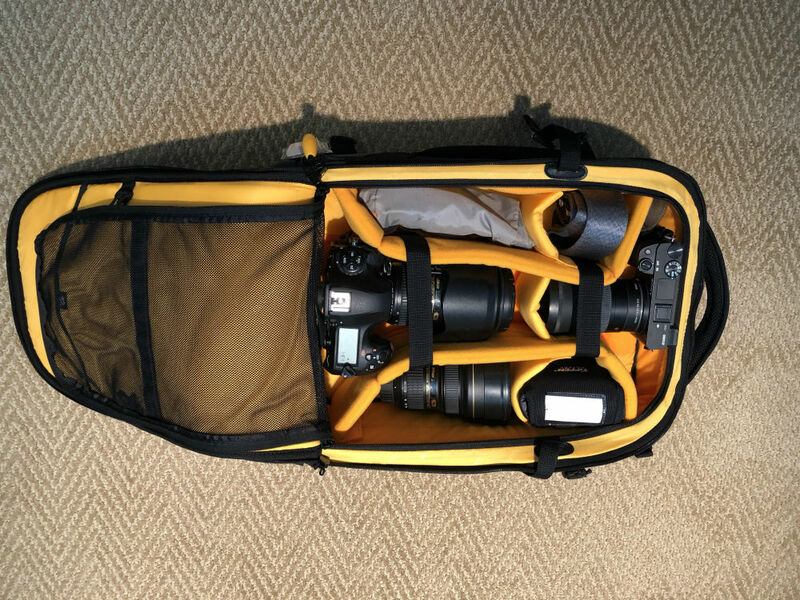 One of the photography accessories that gets overlooked sometimes is the camera bag. That doesn't make sense to me since it's the vessel in which you transport your very expensive gear. What's more, it's the accessory that has the most contact with your body (apart from your camera) when you're out shooting. So, it stands to reason that we'd all want the ideal camera bag for the type of photographer we are. In this list, I offer up a few suggestions for mirrorless camera bags and DSLR bags that fit the bill from a convenience, comfort, and utility standpoint. Editor's Note: The bags used as examples in this article are by Vanguard. Vanguard bags are well-designed, feature-rich, and award-winning, which makes them some of the best camera bags on the market today. When you're a beginner, you don't need a huge camera bag because chances are that you don't have a ton of gear to carry. That being the case, a small, lightweight camera bag is in order. 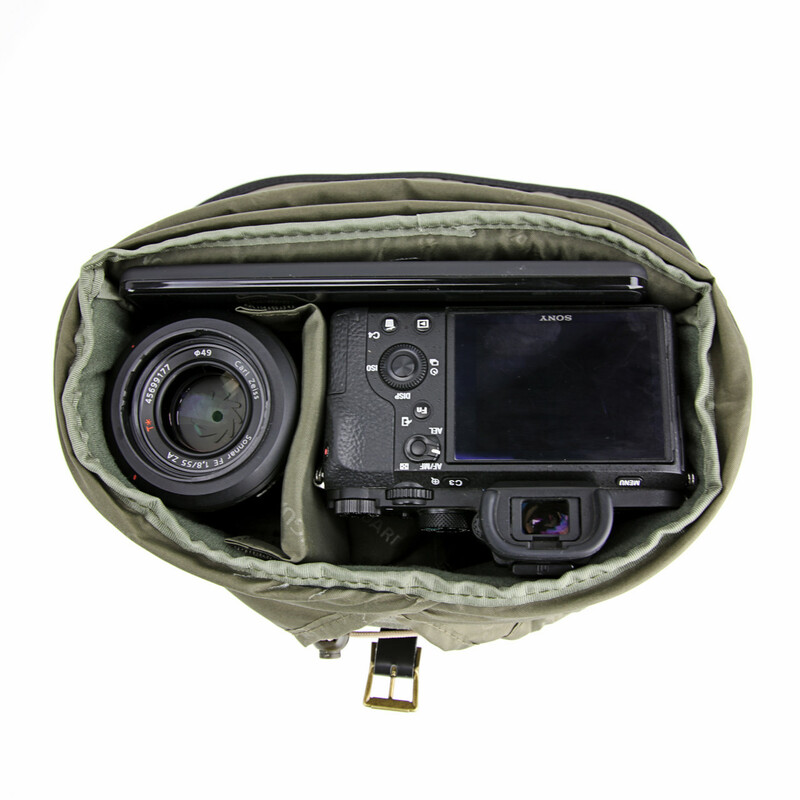 The Vanguard VEO Travel 21 BL+ shown above is an ideal camera bag for beginner photographers. 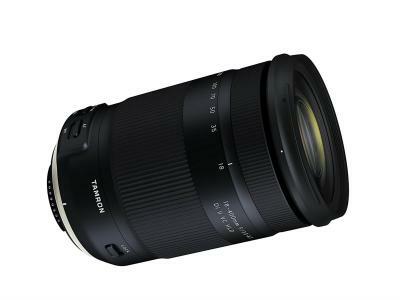 The bag will accommodate a mirrorless camera with a zoom lens attached or a small DSLR, in addition to one or two more lenses. There's also room for accessories like a mini tablet. The inside of the bag provides plenty of protection for your gear with a well-padded interior and dividers to keep your gear organized. Outside, there's a double security system for keeping your gear safe and an adjustable shoulder strap so you can carry the load in the most comfort. 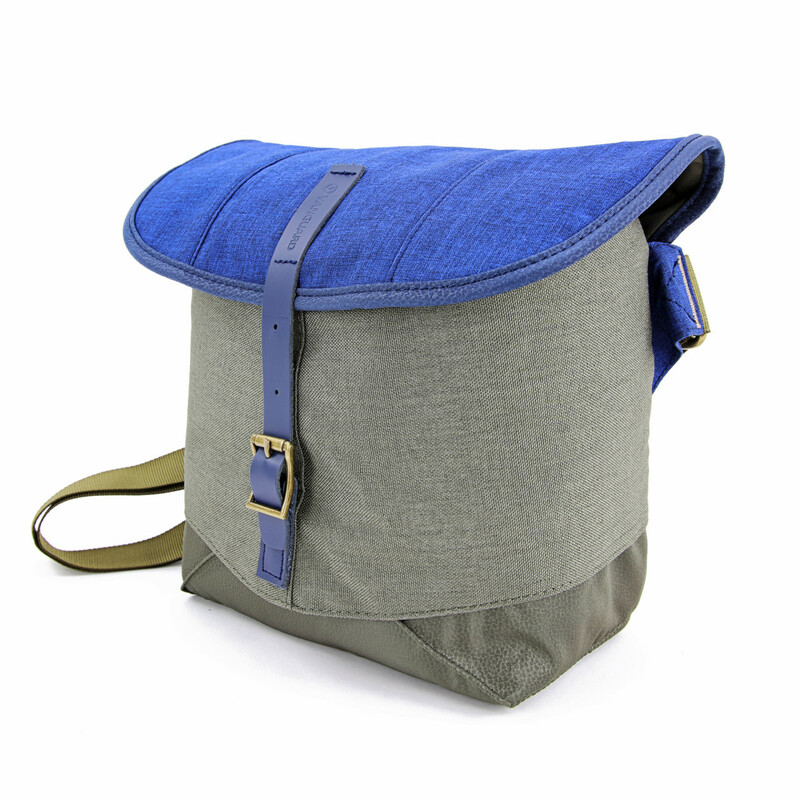 This kind of shoulder bag is perfect for traveling as well, or those quick trips out to the local photography hot spot! 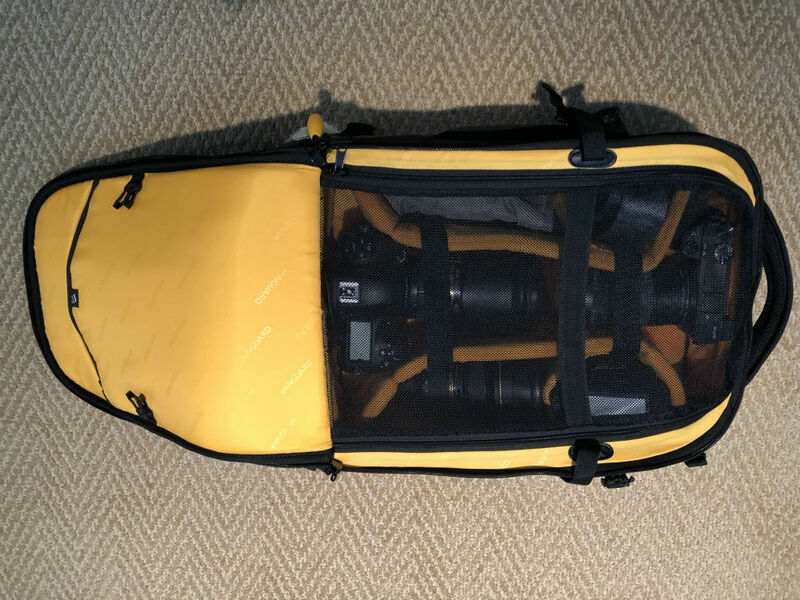 Enthusiast photographers that have more gear to carry might want a bag with a little bit more room. The Vanguard VEO 42 Backpack is a perfect choice for enthusiasts that have a DSLR kit with 2-3 lenses that they use on a regular basis. In fact, this bag is large enough to accommodate accessories like a flash, up to a 13-inch laptop, and even a monopod, all inside the bag. And, of course, being a Vanguard bag, there's tons of padding to keep your gear safe with padded dividers to keep things organized as well. 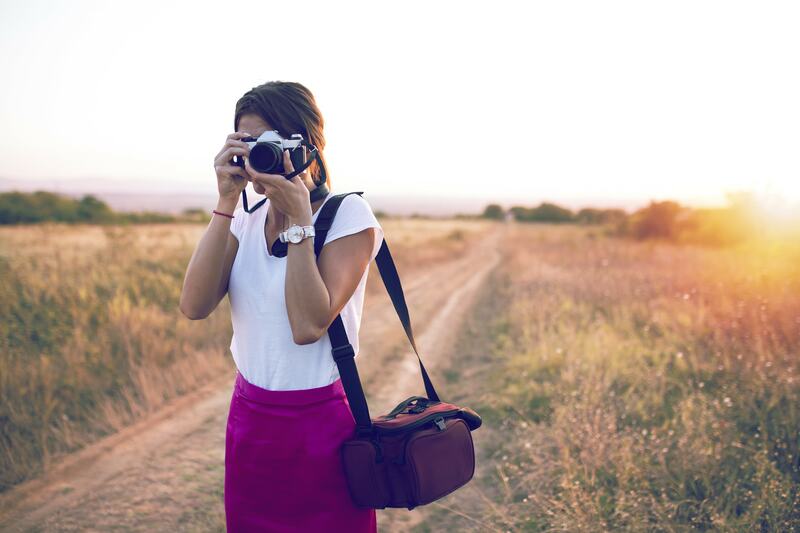 This bag has comfort and convenience features that enthusiast photographers will appreciate as well. There's well-padded shoulders traps and a padded back for those long days out in the field. There's a waist harness to keep things stable, too. For quick access, Vanguard has built-in a bottom access panel so you can easily get your get when time is of the essence. There's even two water bottle pockets for those days when you work up a thirst! 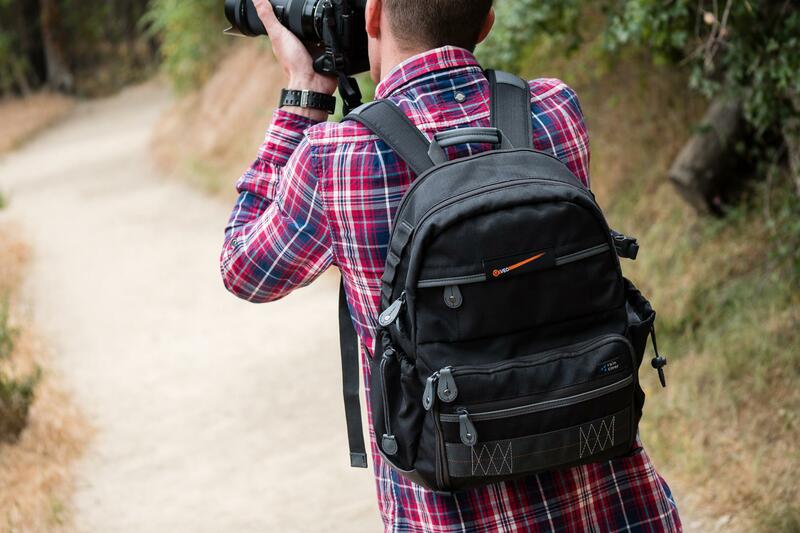 This DSLR bag has the room for an enthusiast's kit, the performance that an active photographer wants, and great features to help make your days of shooting more comfortable. What's not to like about that? 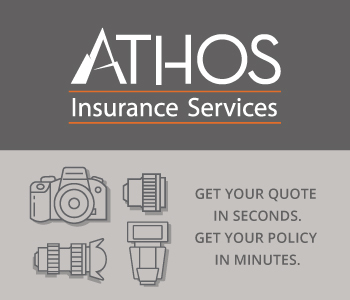 If you're a professional photographer that needs a big rig to get your gear from Point A to Point B in safety (and style! ), the Vanguard Alta Fly 55T is tough to beat. 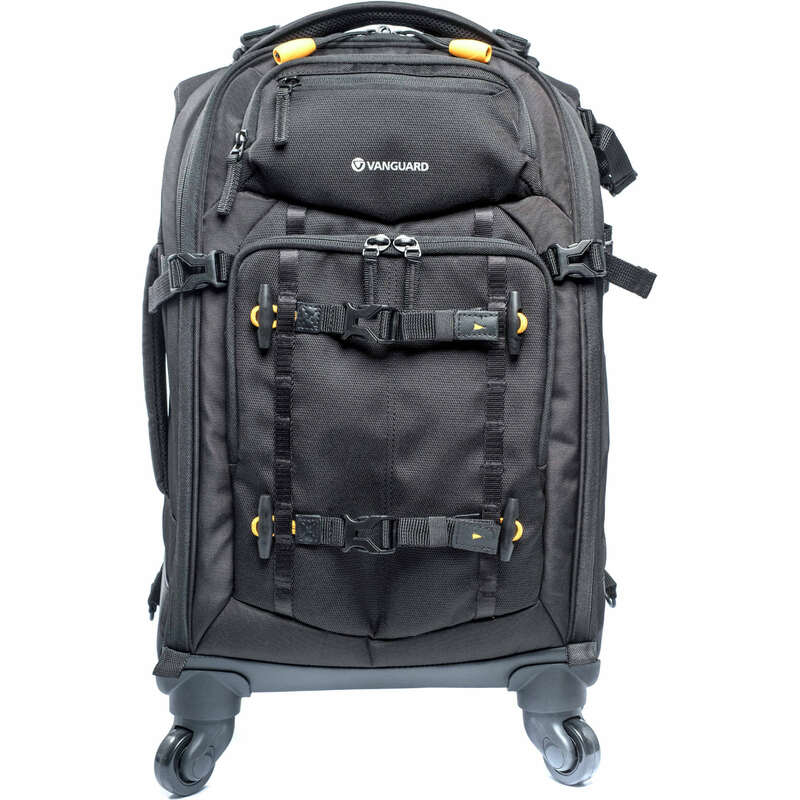 This is a brand new bag from Vanguard that's currently on pre-order, but I had a chance to check this thing out, and it is hands-down one of the best roller bags I've ever used. Not only is this thing incredibly well made to withstand the everyday abuses of an on-the-go photographer, but it's also incredibly easy to use. The front panel of the bag zips away to reveal the entire inside of the bag, as shown above. 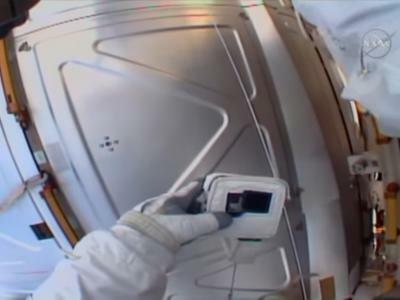 And with that bright yellow interior, you can easily see your gear, even if the lighting isn't ideal. 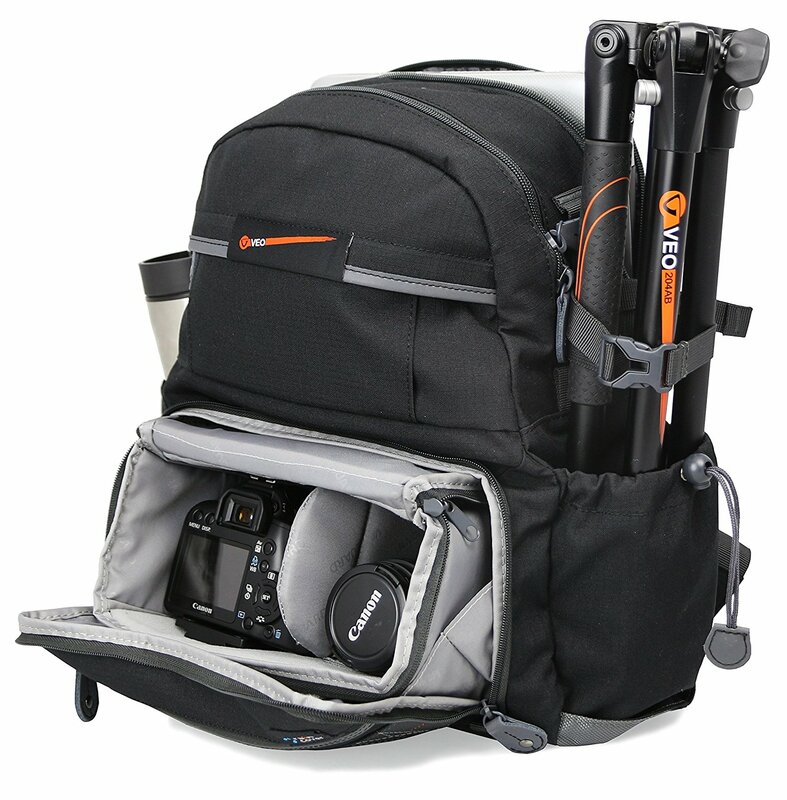 In terms of carrying capacity, this bag will hold everything you need, including two professional DSLRs, 4-5 lenses, and a flash. You can also carry a 14-inch laptop along with all the things you need to travel like your keys or wallet, passport, mobile phone, and so forth. 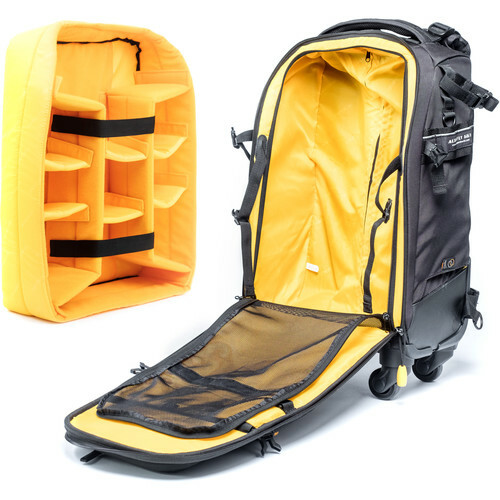 It's also a convertible bag, so you can roll it using the integrated wheels and handle, carry it with the top or left carrying handles, or carry it as a backpack. Whichever way you need, the bag works with you with wheels that glide, chunky handles to get a good grip, and big, cushy shoulder straps to make carrying a heavy load a little easier. In other words, the Vanguard Alta Fly 55T will be my go-to bag for my extended photography adventures from now on. It's that good!